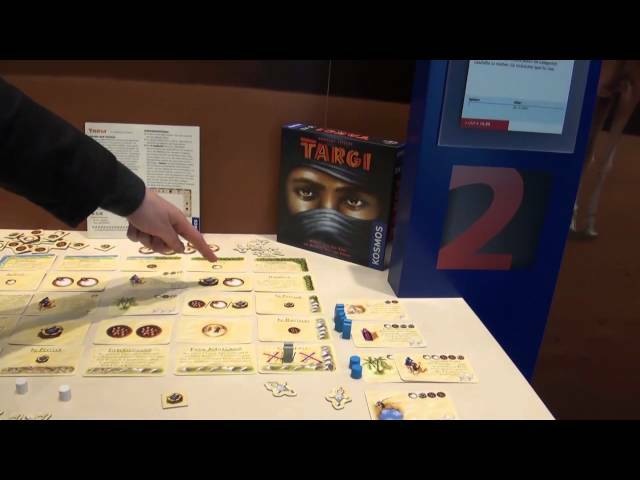 Targi is a 2 player board game of two warring desert tribes played on a modular board which changes each game. The central idea behidn Targi is worker placement where players can block and counterblock each other’s workers in order to compete for the actions that they want - players are trying to get precious resources such as pepper and gold, which are used to play tribal cards that give powerful abilities. The placement of workers is the heart of Targi, because a placed worker blocks an entire row or column, and the actions you take come from the intersection of the rows and columns blocked off by your workers. Buy Targi if you want a tight, focused strategy game of positioning and timing for two players.